Former offensive lineman for the Super Bowl XXVII World Champion Dallas Cowboys, Alan “Shlomo” Veingrad has taken the story of his unique journey from the Super Bowl to Super Jew to audiences around the world. 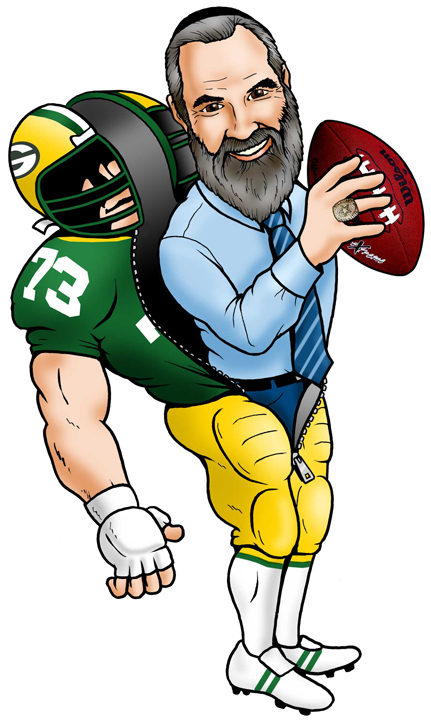 Now Alan is offering football fans a chance to join him for an incredible weekend of Torah and touchdowns in the football capital of the world, Green Bay, WI. 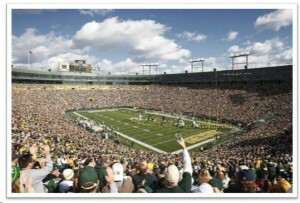 The event takes place the opening weekend of the NFL season, with the game itself on Sunday, September 9, 2012. Call 888.222.6141 for more information, including rates and group discount options. For the first time ever in Green Bay, and perhaps the NFL, Jewish fans can have a football Shabbat weekend experience ten minutes from the stadium. The package includes game tickets and three nights with all meals at the Hyatt on Main, Green Bay’s premier hotel property. The hotel is going all out for observant guests, including kitchen “kashering,” a fully Glatt kosher menu, Shabbat arrangements, and a 24 hour Tea Room! Beyond offering observant Jews the opportunity to enjoy the NFL with full kosher amenities, “Alan believes Jews with a modest interest in their Jewish background will come away from the weekend with a totally new take on their faith and heritage,” commented Michael Marcus, Alan’s partner in KSE Tours, the event promoter. Friday afternoon Alan will host a private tour of Lambeau Field, the stadium where he had five great years before moving to Dallas and his Super Bowl championship. And for observant Jews in attendance, afternoon Minchah prayers at the stadium will be included! Back at the hotel, it will be a full-fledged Shabbat weekend with plentiful portions of kosher food, good company, and a chance to spend up close and personal time with Alan. On Saturday after Shabbat services, lunch and leisure time, Alan will give a presentation about a subject near and dear to him; “STRUCTURE IS THE KEY LIFE” What team sports offer for a few years, Judaism offers for life! 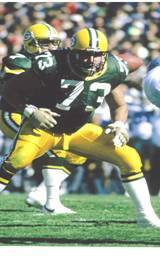 To top the day off, Alan will be joined by some of his former Packer player friends to preview the following day’s game at a Melava Malka (fourth meal!). This “Chalk Talk” will provide rare insights for guests to learn about the next day’s match-up from a player’s point of view. And what a match up it will be! Two of the league’s premier teams and quarterbacks – Aaron Rodgers and Alex Smith – will square off in what could quite well be a preview of the NFC championship game. After a blow-out kosher tailgate party, guests will watch the game – with Alan – in seats most likely five to ten rows from the field! Alan Shlomo Veingrad’s career as a football player started at East Texas State University, where he may have been the only Jewish student on campus and where there was no Jewish community. The object of some proselytizing, he retained his strong Jewish pride and dignity. After college, he was signed as a free agent to the Green Bay Packers in Wisconsin. Connecting with the small Jewish community in Green Bay helped him survive the isolation of being the only Jewish player on the team. Since his retirement after a seven NFL career, Veingrad has used his championship experience to score big in the financial services industry. Veingrad also speaks to audiences across the country, relating his story of how the lifestyle he fell into after his retirement from professional football left a void that unwittingly lead him to embrace Torah and Mitzvahs. He shares his unique perspective on the discipline of being a professional athlete set the stage for the process of him to become an observant Jew. Alan “Shlomo” Veingrad was inducted into the National Jewish Sports Hall of Fame on Sunday, April 18, 2010. Previous inductees include Jewish sports legends such as Sandy Koufax, Red Auerbach, and Hank Greenberg.